You can feel the breeze of the sea off Kujukuri at this resort and spa. 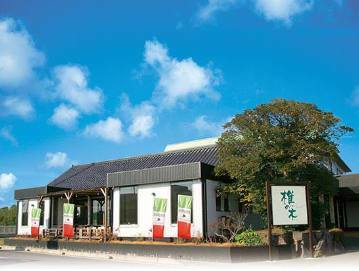 In addition to an outdoor natural hot spring bath, they have a large public bath area with a sauna and an exfoliation service, as well as a private indoor bath. Their private open-air rooftop bath has a view of Kujukuri Beach. The main building features a restaurant, banquet halls, and accommodation. There are also cottages and lodges with attached outdoor baths on the property.